Witches and warlocks will RSVP in the wave of a wand after receiving the Spider Web Invitation 001. 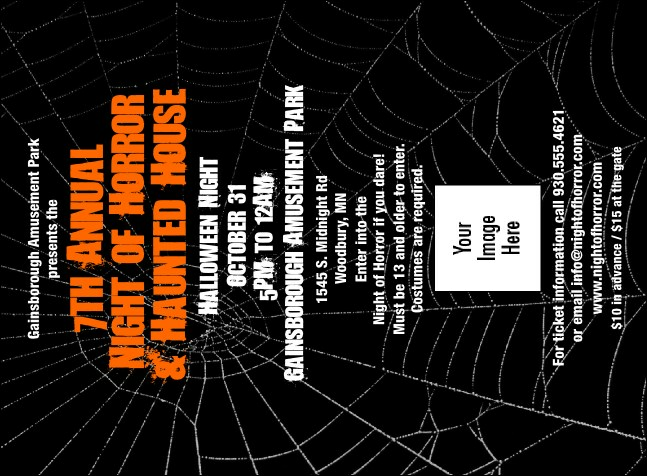 This orange, black, and white design features your party’s details in creepy typeface atop an enormous cobweb. Tailor all the text you see and pop an image into the upload spot—we’ll print and ship fast. Don’t be spooked by the task of event marketing! Make it fast and easy with invitations, posters, and more from TicketRiver.com.au.